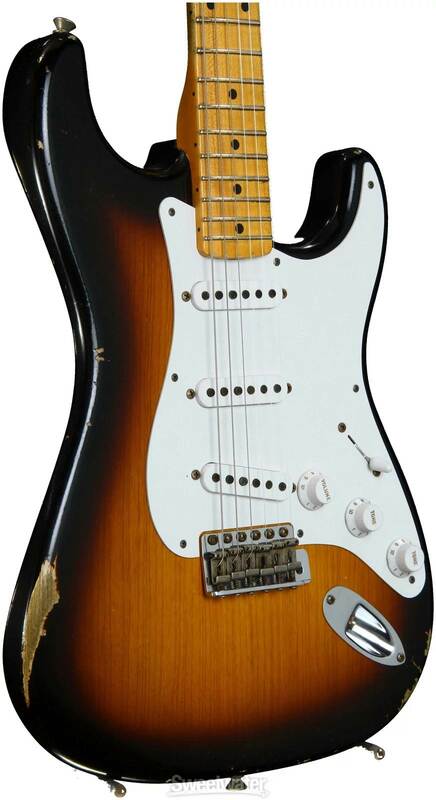 923-0040-(Color#): Special Roadshow model, available to 2015 FCS Roadshow participants only. 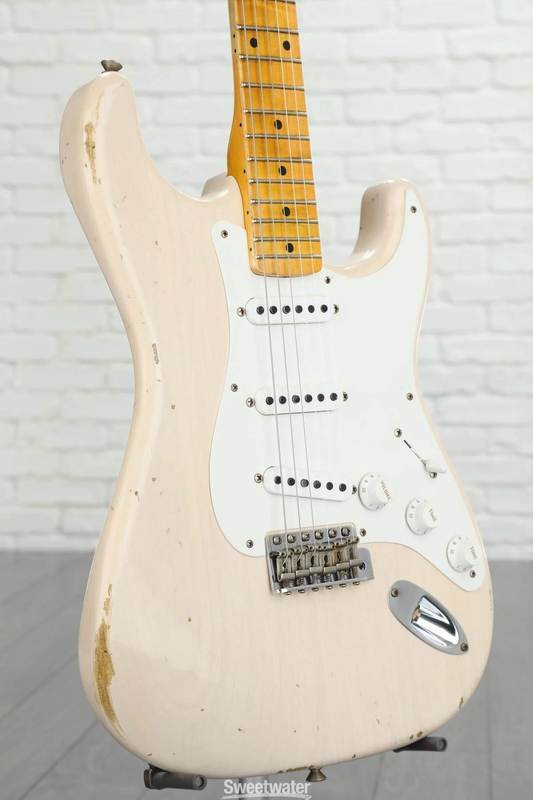 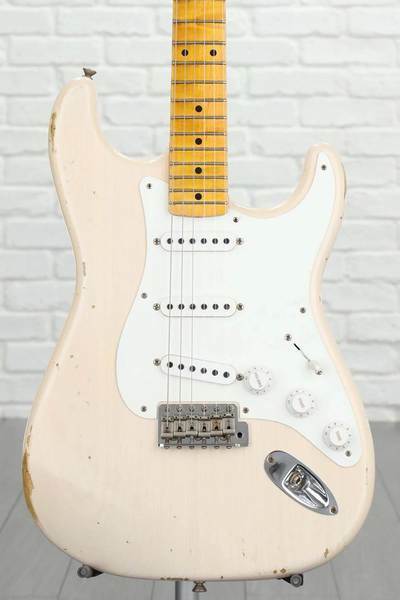 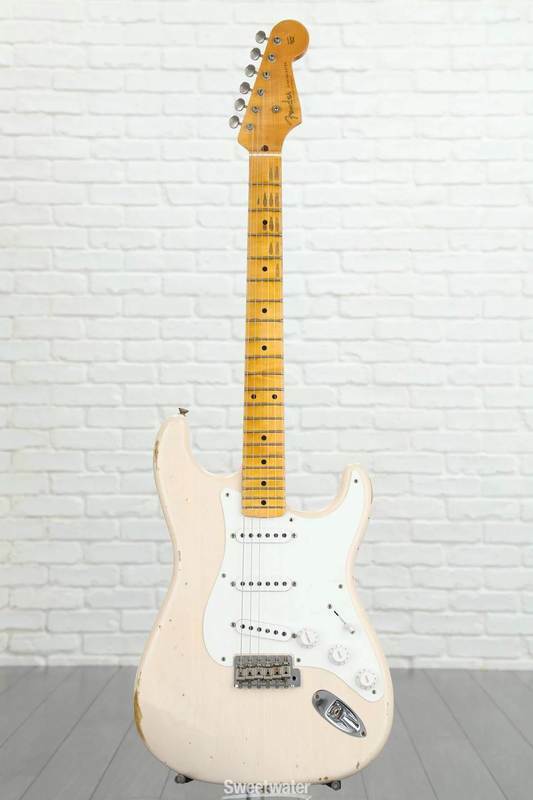 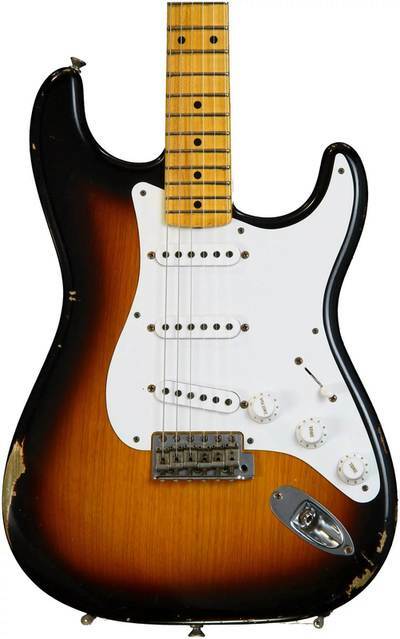 The 2015 Limited Edition 1955 Relic Stratocaster takes you straight back to the instrument's original era, with a lightweight ash body in Dirty White Blonde or Two-Color Sunburst lacquer Relic finishes that evoke years of hard-fought wear and tear. 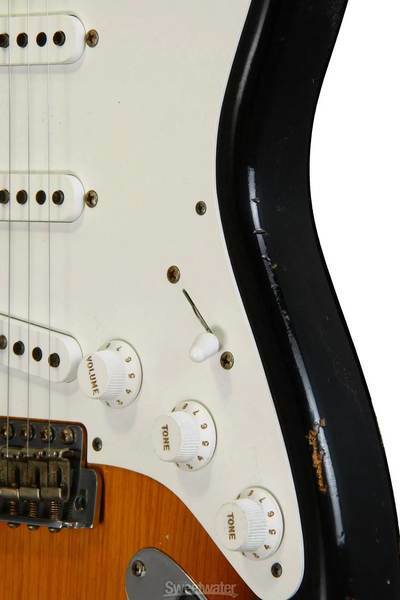 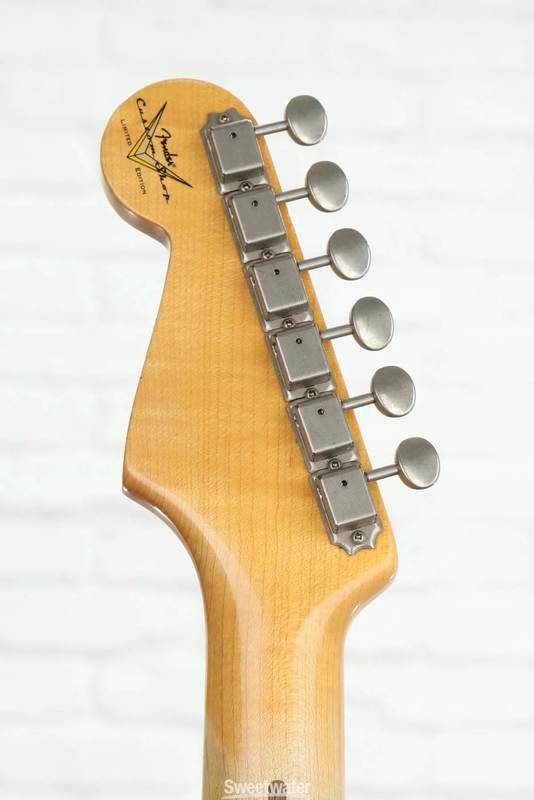 The sparkling trio of hand-wound '55 single-coil Stratocaster pickups is mounted on a single-ply eight-hole white pickguard, with five-way switching for modern tonal versatility. 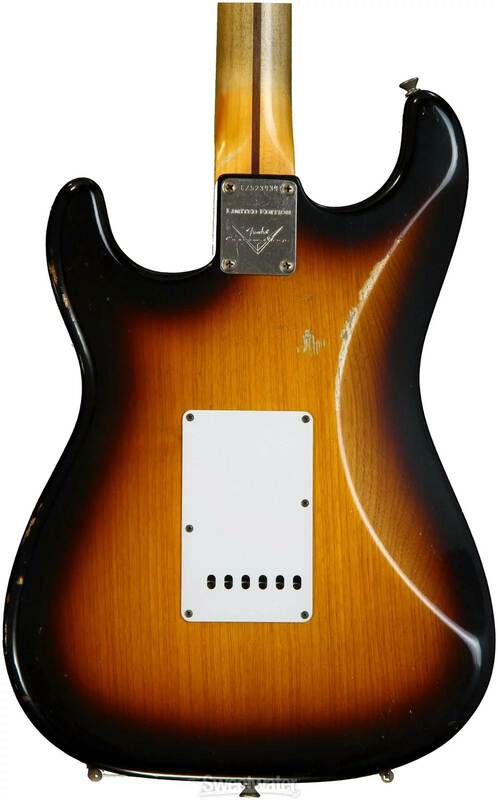 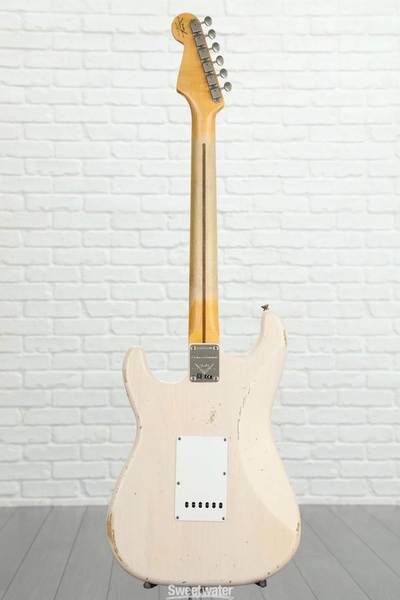 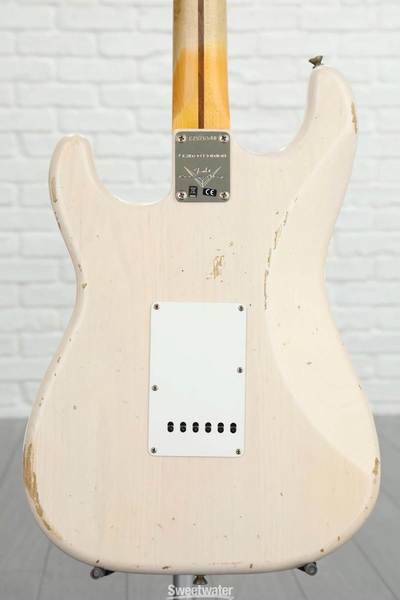 Other premium features include a quartersawn maple neck with worn Relic treatment on the back, 9.5"-radius maple fingerboard with 21 narrow jumbo frets, rock-solid American Vintage synchronized tremolo bridge, American Vintage tuning machines and a Custom Shop Limited Edition neck plate. 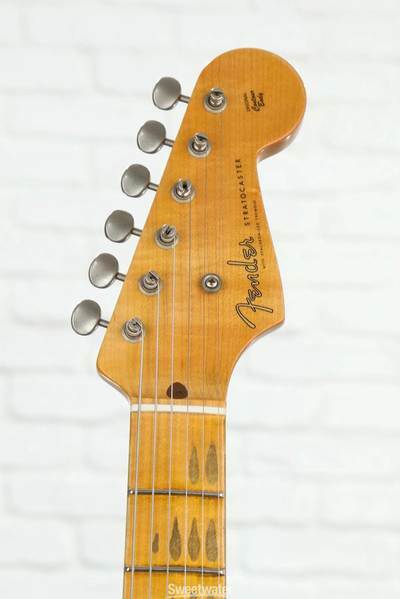 Includes blonde Limited Edition case containing a 1955 Fender Downbeat catalog insert reproduction.